Doll Bones by Holly Black is a creepy but intriguing read, which left me surprised at every page turn. This read will have the hairs on the back of your neck standing on end. The story follows a twelve year old named Zach, who is a talented basketball player, but still loves fantasy. Every day after school, Zach and his two friends, Alice and Poppy, play with action figures and barbies, making believe that they are pirates and thieves. All of these characters in their game are ruled by the Queen. The Queen is an antique bone-china doll that is always kept in the glass cabinet. Since Poppy was afraid of the doll, they incorporated it into their game. “According to the legend they’d created, the Queen ruled over everything from her glass tower. The only thing the Queen couldn’t do, though, was escape.” But Zach’s father wants him to leave his world of fantasy behind and focus on basketball, so he throws away all of Zach’s toys, and ends the game. But what if their game is no longer pretend? What if they no longer have the control on reality they thought they had? All these questions are answered as the team hurry to finish their own quest for the Queen. I personally loved this book because it connected to my deepest thoughts and fears. Like when Zach was about to fall asleep, and he thought about how he always felt safer when his feet were under the covers so the monsters underneath the bed couldn’t attack him, I too have experienced this as a young child. Part of what makes this book so good is the fact that it is realistic to the twelve year-old mind. 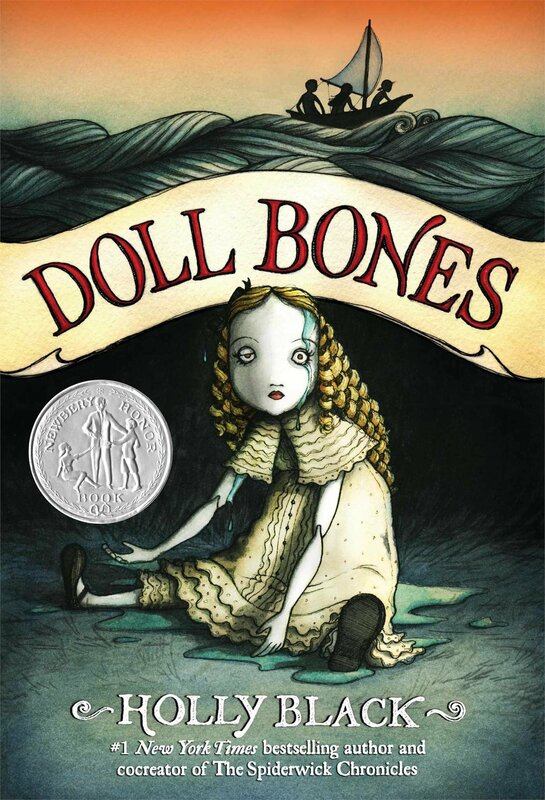 The action in this book had me standing on my toes, and the horrifying tale of the bone-china doll left me in shock. Holly Black has really outdone herself with this book, it is both creepy and mysterious, my favorite kind of read.